Tax time is coming up again. At the minimum, you should already be thinking of your taxes, if not actually starting the process of determining your profit and loss, as well as gathering all your supporting documentation. If not, better start looking for those receipts and figuring out those exemptions to catch the tax-filing deadline. Tax filing is a serious business – unless you want IRS behind your back. Home-based business operators should remember that tax rules, requirements and restrictions are sometimes different for businesses operated inside and outside the home. If your home is also your place of business, you may be entitled to deduct a portion of the operating expenses and the depreciation of your home. A house, apartment, condominium, mobile home, motor home, boat or just about anywhere with sleeping and cooking facilities can qualify for the home office deduction. If the business use of your home meets specific tests, you may be able to deduct a percentage of your regular expenses, such as rent, interest, taxes, insurance, repair and maintenance, etc. However, since an asset is jointly by your family as well as your business, tax filing becomes an even more complicated process. As a result, the red flag of the dreaded tax audit comes up more often for home-based businesses. The good news is that the government has recently loosened up a bit on the rules regarding the home-office deduction. Be warned though: bending the rules is still a good way to attract audit. Exclusive Use – that part of your home must be set aside exclusively for the business. Separate Structure – In connection with your trade or business if you are using a separate structure that is not attached to your home or residence (e.g. a studio, garage, or barn). Many home business entrepreneurs make the mistake of claiming deductions for a space used for both business and personal life. The exclusivity test specifically requires that the area in question should be used solely for business purposes only. If you use the space for personal use — e.g. a swimming pool where kids in your daycare swim is also the pool where your family relaxes and swims; or a family room you use to write reports is also the room where your family watches TV and plays games — then you cannot claim its use for the home office tax deduction. Note, however, that the government in recent years liberalized the primary-and- exclusive-use rule to include the use of your home office to conduct administrative and managerial activities (e.g. record-keeping), in addition to using your home office as a primary place of business where you actually met customers or clients. The caveat is that there must be no other location for you where you can conduct those activities. This ruling impacts favorably on self-employed consultants, sales representatives, and financial advisers who do more of their work elsewhere but uses the home to perform managerial and administrative tasks. If you qualify for the home-office deduction, you may be able to claim a portion of certain types of expenses that are associated with your home but aren’t deductible by the average homeowner. These expenses include insurance, utilities, repairs, security system expenses, office supplies, depreciation of furniture and other business assets, local and long distance telephone calls on the home phone (but not the cost of the monthly service charge), business use of vehicles, repairs and taxes, among others. The homeowner also can deduct the depreciation on the part of the home used for business. You can also claim the home-office deduction if you use part of your home to store inventory or product samples, or if part of the home is used as a day-care facility. If you have employees who work out of their home, they may be entitled to deduct expenses for the business use of their homes too. In this situation, though, they must work at home for your convenience and not just because it is appropriate and helpful in their jobs. 1. 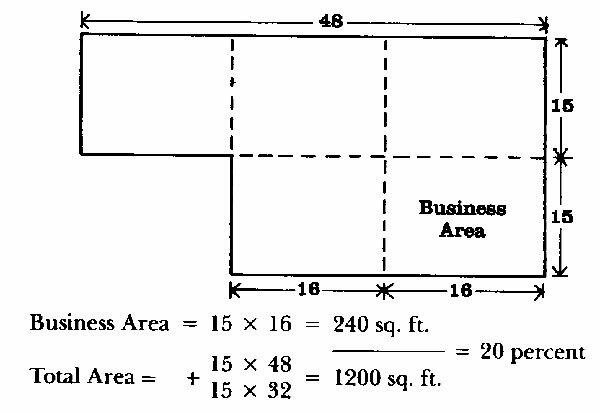 Divide the area used for your business by the total area of your home. For example, if your home measures 5,000 square feet and you are using 500 square feet for your home office, you will be able to deduct 10% of expenses such as rent, mortgage interest, depreciation, taxes, insurance, utilities, repairs, etc. 2. 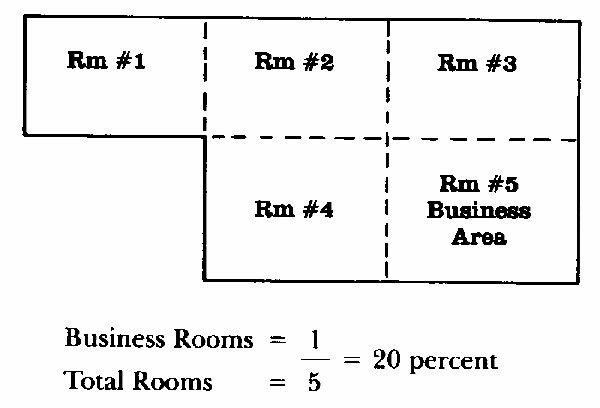 Divide the rooms used for your business by the number of rooms in your home. While easier, it is important that all of the rooms in your home must be approximately the same size for this method to become more accurate. dollar amounts of your deductions. (For example, 20 percent times a $1,000 home utilities expense equals a $200 business utilities expense.) Those expenses that benefit only your business, such as painting or remodeling the specific area occupied by the business, are 100 percent deductible. Expenses that benefit only your home and are in no way related to the business, such as lawn care and landscaping, may not be deducted. Make sure that you have sufficient evidence to prove a home office. Have its address on your business cards and stationery, keep a log of who you see, when you use the office, and what you do. You can even have someone photograph you in your home office holding up a newspaper to prove the date, and all of the contents of your office. To make certain you have accurately defined those expenses that benefit both your home and your business, it is advisable to consult with an accountant. This is especially important if you own rather than rent your home. Better to be sure than sorry! You really don’t want an IRS agent actually in your home if you can avoid it. If he does show up, however, make him sign the guest log! 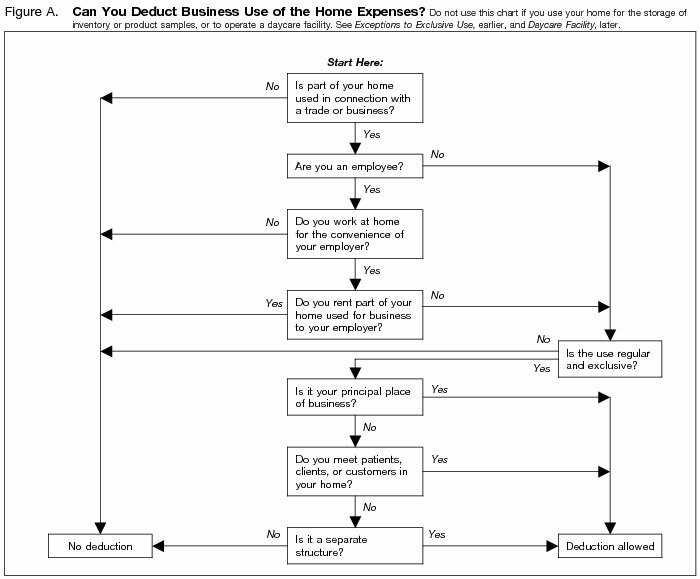 Do You Qualify for Home Business Tax Deductions? 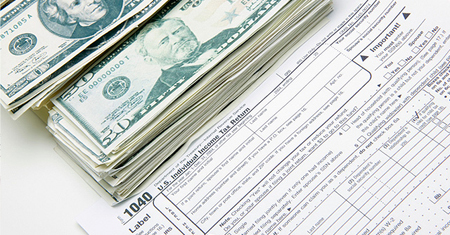 It is important to maximize your deductions and minimize your taxes. As a home-based entrepreneur, learn whether you qualify for home office tax deductions.